Remember that post I wrote in January with my goals for 2012? Well since we are almost through the first quarter of the year, I thought it might be time for a little check in. If you haven’t checked out Babycenter’s Momformation blog lately, I highly recommend it! Of course, since this is my main writing gig other than this blog, I am a little biased. Still, there is a constant stream of good conversation going on. My latest post is about raising boys and you know this is something dear to my heart. Here on Lil-Kid-Things, one of the most popular posts has been my response to the Johnson’s Baby commercial “you’re doing ok mom”. It really struck a chord with me and it seems that I am not the only one! I am still loving the writing ops I have had and hope to continue throughout the year! 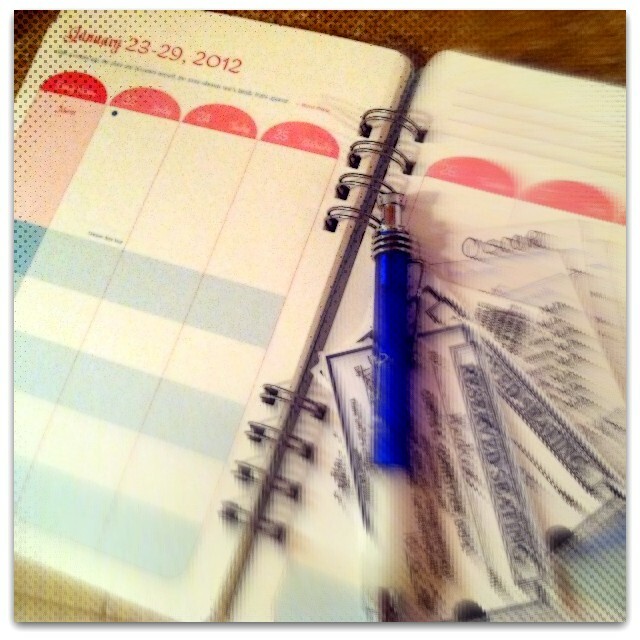 I am still planning to attend the Type-A-Parent conference in June as well as Blogher in August! This will be my second time at both and I can’t wait! Since my last update, I have been chosen to volunteer at Blogher again this year! I absolutely had a blast when I volunteered in 2010 and I can’t wait to return. I am also completely stoked for Type-A since it is non-stop learning and also happens to be practically in my backyard. Finally, I am absolutely stunned and ecstatic to announce that I have been invited to the 2012 Disney Social Media Moms Celebration in Orlando, FL this year and my family will be able to attend with me! I will share more details as I have them but just color me completely thrilled. I am like a kid in a candy store! If you will be at any of these conferences as a business or a blogger, I would love to connect with you! This is going to be a long journey. I submitted my children’s book to a couple places and have had as many rejections. I also have done little with my non-fiction idea as that takes much more time and concentration than I currently have to give. I do feel good that I have not simply been idle however. Rejections are better than my stories sitting in a drawer right? Baby steps. This is a new category but I am trying it out. I seriously value all of my readers whether there are 2 or 200 of you. But as a blogger and hopefully a growing business, I really need to make more of an effort to get my “name” out there. This does not come naturally to me at all. I like the organic process of stumbling across a new blog or casually meeting someone at a conference. However, this is the internet and there are literally millions of blogs out there which means I need to make an effort. To do this, I have been listed in both the Top Baby Blogs and Top Mommy Blogs directories. These are simply directories of active blogs related to parenting and babies. Naturally, I should have done this a long time ago, but I didn’t really take the time to learn about it. Think of it like a phone book, the higher up on the list, the more visible my blog is to people who are looking for some encouragement. If you would like to help keep me “ranked” you may click either button as often as once every 24 hours. There is no sign-up or anything other than clicking. This counts as a vote. The more votes I get, the higher I am ranked. That’s it! Overall, I feel like 2012 is off to a GREAT start! I am so encouraged by all of you and the encouragement you all continue to give me and my family. So thank you again, for real. How are your 2012 goals coming along? Thanks for sharing your progress with us. Can’t wait to see you at Type-A, and I had that same planner last year, love it!!! Congrats on being a mom and rocking the working world too, even if you don’t think you are, you are doing an amazing job!! Thank you! I am SO ready for Type-A! I can’t wait! I’ll see you at Type A too! As far as my goals, oh man, I’m slacking. I thought I’d be 20 lbs lighter by now. I need to be more disciplined. This post makes me think I should start a list of Q2 goals. That way, I’ll be ahead, not behind. Good for you! I’ve hit one of my 2012 goals, and next week I will find out if I hit my second one. It’s a biggie so my fingers are crossed. After that I have one left to go. See you at Type A and BlogHer! I need to do a check-in with my goals as well. So far I think it’s been going really well. well done, you are going great with your goals and although I won’t be at Type-A, I can’t wait to see you at BlogHer. My goals for the year are coming along nicely. I’ve crossed off a few things already which feels great.